Antonia was an integral member of the Reynolds community. Her quiet nature belied the impact she has had on her peers, school and community. A leader among leaders in the Reynolds Leadership program, Antonia was equally committed to her studies, as evidenced by her earning a Schulich Leader scholarship to study science at Simon Fraser University. From the Saanich News: Kowalewski [is] a science-oriented academic who’s been active in a number of initiatives throughout her time as a high schooler. But now the focus will turn on schooling, as Kowalewski enters a demanding program. “It’s been a lot of work the last four years so it’s nice to know my dedication to school and a lot of extra-curricular activities has paid off,” Kowalewski said. She follows in the footsteps of 2016 Reynolds grad Rebecca Hansen who also secured a Schulich for science. “I always loved the sciences but I figured I would know which direction I wanted to focus on by now,” Kowalewski said. “I ended up liking all off biology, chemistry and physics so I’m going into biophysics, which encompasses them all. Sol was a member of leadership, the Reynolds Slam Poetry team, the Centre for Soccer Excellence, and part of the Reynolds soccer team to claim the provincial championship in 2017. 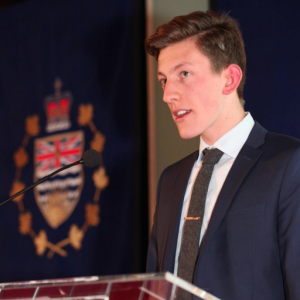 As well-rounded as a student as one could imagine, Sol was accepted into the parliamentary page program in Ottawa, an enormous distinction to sever in our House of Commons. Sol is the first person to the right of the Honourable Geoff Regan, M.P. (Speaker of the House of Commons) in the middle row. Erinne’s interest in social justice began at a very young age, through involvement with organizations such as ‘Me to We’ where she began to develop and cultivate this growing passion. At Reynolds, she co-founded an activist group called Action Now which focused on three main pillars: Learning, Awareness, and Activism. The group has seen guests such as MP Elizabeth May and worked on projects through topics from youth voting turnout to Women’s Rights. Paisley also helped developed a number of other community engagement projects during high school, including co-leading the Reynolds Vital Youth in Philanthropy Group in association with the Victoria Foundation. 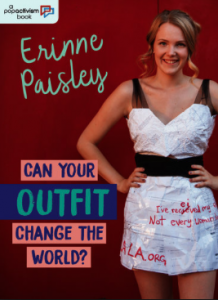 In her grad year, Erinne gained international attention for her graduation dress created out of homework to raise awareness and funds for the Malala Fund. In response to this new audience Paisley created an activism and pop culture blog to further engage youth in social media activism called ‘Pop Activism’. In September 2015 Paisley signed a three-part book series deal with Orca Publishing House on the overarching topic of Social Media Activism for Youth and is currently working on the first book in the series. 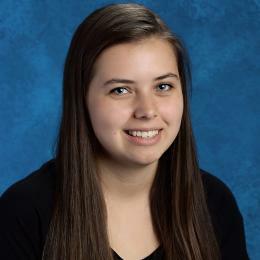 Hannah Berry was a member of the Reynolds Slam Poetry team where she was part of two provincial championships team. The performance of her poem “Intronet: A poem for introverts” made such an impression on her audiences that she was asked to perform it at the BC Legislature for Pink Shirt Day in 2015 and asked to be a speaker at Heart Mind 2015, put on by the Dalai Lama Centre. See Hannah’s profile for that event here. Hannah will be attending Quest University beginning in the fall of 2016. 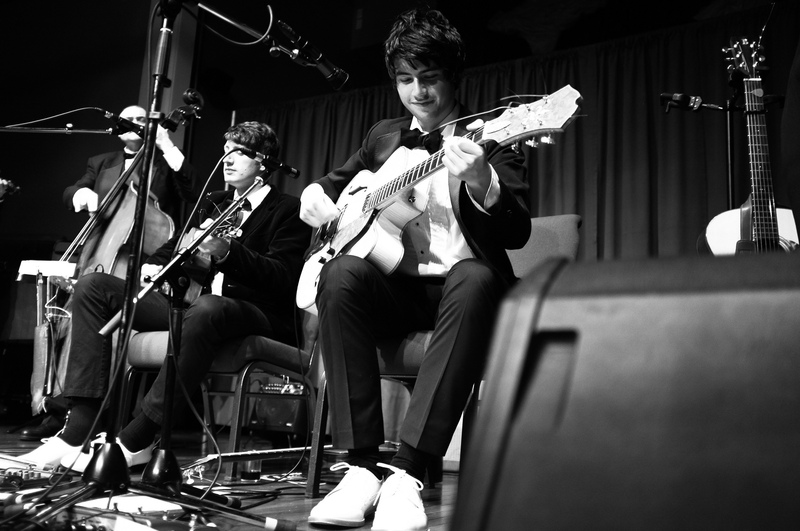 Quinn Bachand, a mulit-instrumentalist musician, is internationally known in the Celtic music scene. 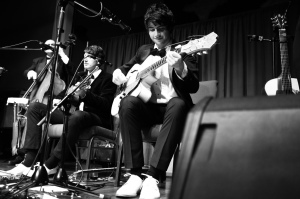 Touring during his high school years, Quinn worked hard to balance his academics and his professional musician responsibilities. According his website, qbachand.com, “since 2009 [Quinn and his his sister Qristina] have also received three Canadian Folk Music Award nominations, a 2012 Western Canadian Music Award nomination for World Recording of the Year and four 2013 Vancouver Island Music Award nominations.” Quinn earned a prestigious Slaight Family Scholarship to attend Berklee School of Music in Boston, MA, where he will continue to develop his incredible talents, while also touring the world. Check out Quinn and Qristina’s 2015 album Little Hinges and Quinn’s gypsy jazz band Brishen at www.brishenmusic.com. 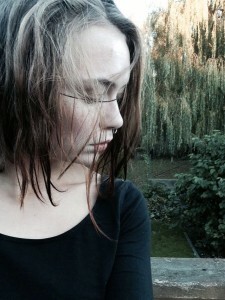 Aldyn, now studying Computer Sciences at the University of Waterloo, won first place in the Fiction category for her short story “Nova” in Issue #44 of the Claremont Review, an edited journal of international young writers. As adept with words as she is numbers, Aldyn was able to combine both into a beautifully haunting story of a girl’s attempt to connect with society, but often retreating back into the safety of numbers. The story, which was started in her Flex English 12 class, can be read in the Issue #44 of the Claremont Review (which we suggest you purchase to support young writers around the globe), and at the following link – “Nova“. When not baking up the most amazing cupcakes to support the Reynolds Cops for Cancer campaign, Emma was busy doing any number of other activities around Reynolds, including being a founding member of the Reynolds Debate Team. Emma continued her debating at the University of Victoria where she competed at the World University Debate Championships in Chennai, India. 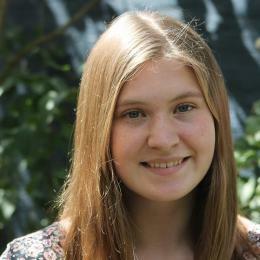 Zoe Duhaime was named the Youth Poet Laureate for the City of Victoria for 2015. While at Reynolds, Zoe was a member of the Reynolds Slam Poetry team for three years and was active in supporting the growth of young writers through workshops and mentoring. After Reynolds, Zoe attended the University of Victoria studying creative writing and women’s studies. For more information about Zoe and the role of the Youth Poet Laureate, click here. Kanika graduated from Reynolds went to study psychology at Camosun College. A former member of the Reynolds Slam Poetry team, Kanika put the skills she honed on the stage to good use as she spoke to groups of students around Victoria about human rights issues working with antidote: a multiracial and indigenous girls and women’s network, a group whose commitment is to reduce social exclusion faced by Indigenous and minority girls, young women and women. Kanika has given workshops, including to Reynolds students, bringing awareness and empowering all people to create a more socially just society. Graham and Russell are brothers who came through the Flexible Studies Program. Their insatiable thirst for adventure has lead them on all sorts of travelling adventures. You should really check out their most amazing adventure where they kayaked from the mouth of the Amazon river in Brazil to the south coast of Florida. Bea’s path from Reynolds took her to Montreal and to McGill University. Continuing to build on her curiousity and desire to share information, Bea became involved with the McGill school paper, eventually becoming the News Editor for the McGill Tribune (see this link for some examples of her journalism). However, always the balanced individual, Bea kept connected to her passion in dance by being a integral member of the Urban Groove Dance Project, where she was also the Vice President of Events. Currently, Be a went on to study at the prestigious The School of Journalism and Communication at Carleton University where she pursued a Masters in Journalism.